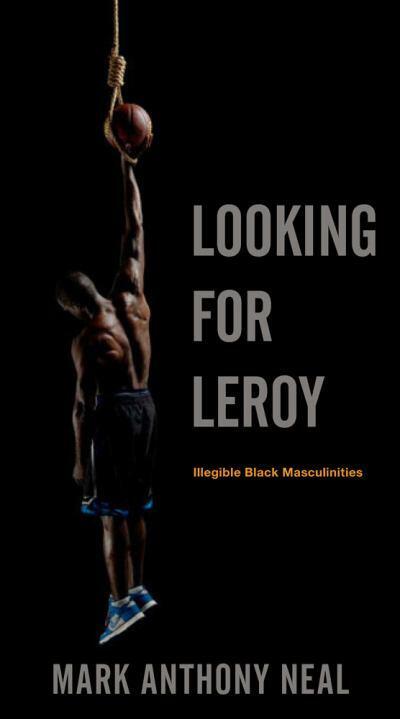 This notebook comprises a series of short writings on Mark Anthony Neal's Looking for Leroy: Illegible Black Masculinities (2013). I'm not providing a full-fledged review. Instead, I'm mostly taking notes on topics from his book that really catch my attention and assist with the work that I'm doing concerning black men writers on the one hand and collegiate black men on the other. 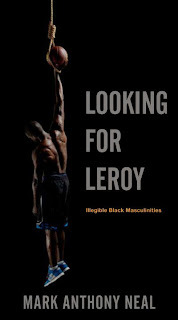 Mark Anthony Neal’s Looking for Leroy is an engaging and provocative analysis of the complex ways in which black masculinity has been read and misread through contemporary American popular culture. Neal argues that black men and boys are bound, in profound ways, to and by their legibility. The most “legible” black male bodies are often rendered as criminal, bodies in need of policing and containment. Ironically, Neal argues, this sort of legibility brings welcome relief to white America, providing easily identifiable images of black men in an era defined by shifts in racial, sexual, and gendered identities. Neal highlights the radical potential of rendering legible black male bodies—those bodies that are all too real for us—as illegible, while simultaneously rendering illegible black male bodies—those versions of black masculinity that we can’t believe are real—as legible. I'm looking forward to reading and collecting notes on what he's written.